This is an original production cel that appears to be from the Walt Disney Studios production The Fox and the Hound (1981). 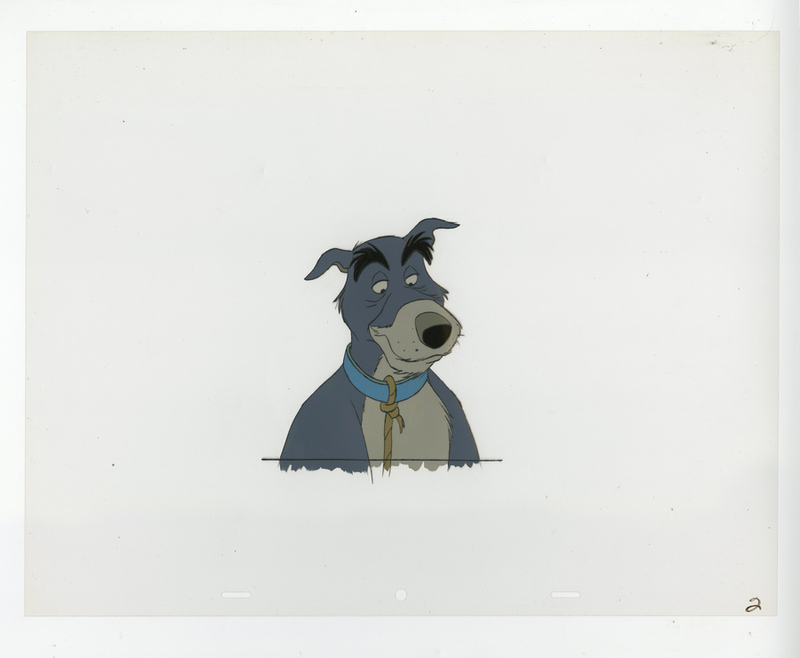 This hand-painted cel features a dog with an identical design to Chief from Fox and the Hound, but his coloring and the coloring of his color is different from that in the feature film. 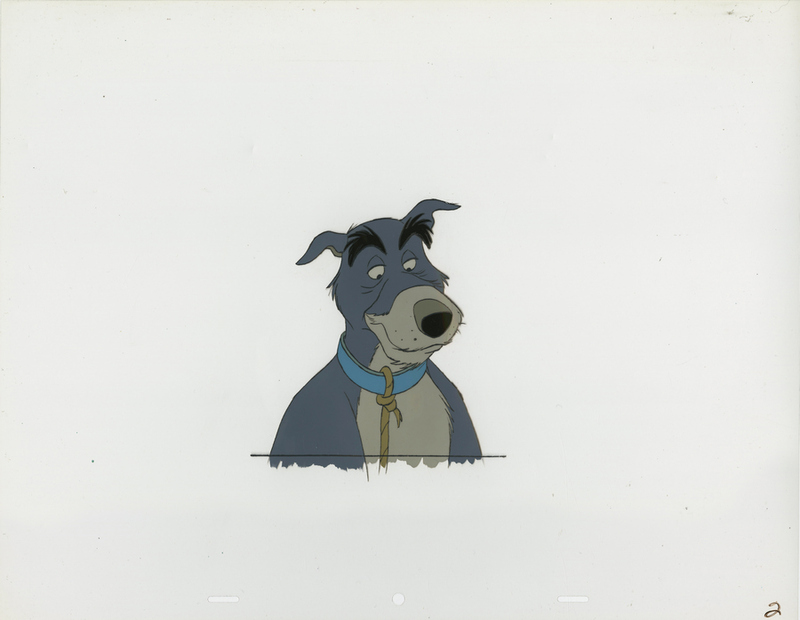 It is possible that this particular cel was from a cut scene, or was repainted for the final production of the film, as this color palette is never seen on Chief in the final film. The cel was created at the studio and used during production. The overall measurements of the piece are 12.5" x 16" and the image itself measures 5" x 4". The cel is in very good condition.